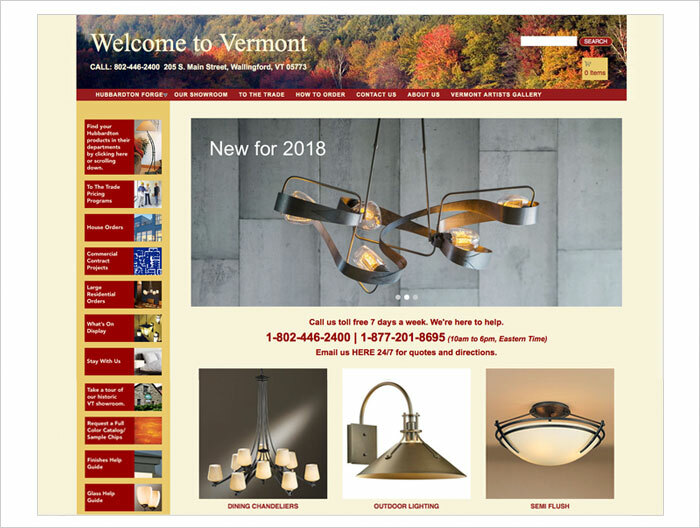 Handmade In Vermont (HMIVT) is a retail website selling items made in Vermont, in particular Hubbardton Forge Lighting. 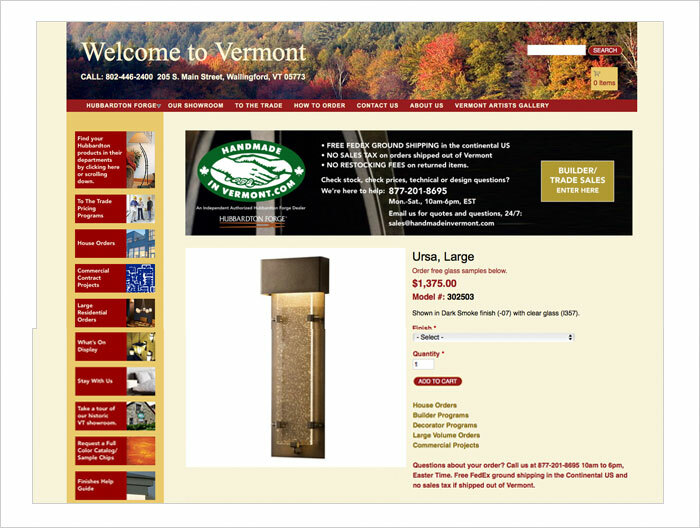 The website was recently reprogrammed and redesigned by us in Drupal to allow for easier updates. Padraic has also worked on HMIVT’s overall brand.